Artificial lighting for plant growth has been one of the best additions to the agriculture-technology marriage. Replacing the sun as the light source has been a long and hard journey, juggling efficiency and power consumption v/s cost. In the current scenario, lights exist in adjustable and plant-specific spectrums with customizations available in all aspects. The current research into lighting technologies has brought forth more regulation and better standards to look for when discussing the right lights for a setup. We will discuss these specifications and the power that hydroponics and lighting offer growers in this post. Light from the spectrum which consists of IR-VIBGYOR-UV is emitted in grow lights. These are emitted in various ratios usually 60:40 Blue to red or 80:20 red to blue, the former is used for leafy growth and the latter for flowering growth. The general rule for lights being put in a hydroponic System design is that leafy plants get about 30W per sqft and flowering plants get 50W per square feet. This is a very rough figure and even the actual wattage output from a LED light is hard to monitor. The accuracy of these values is overstated by manufacturers. 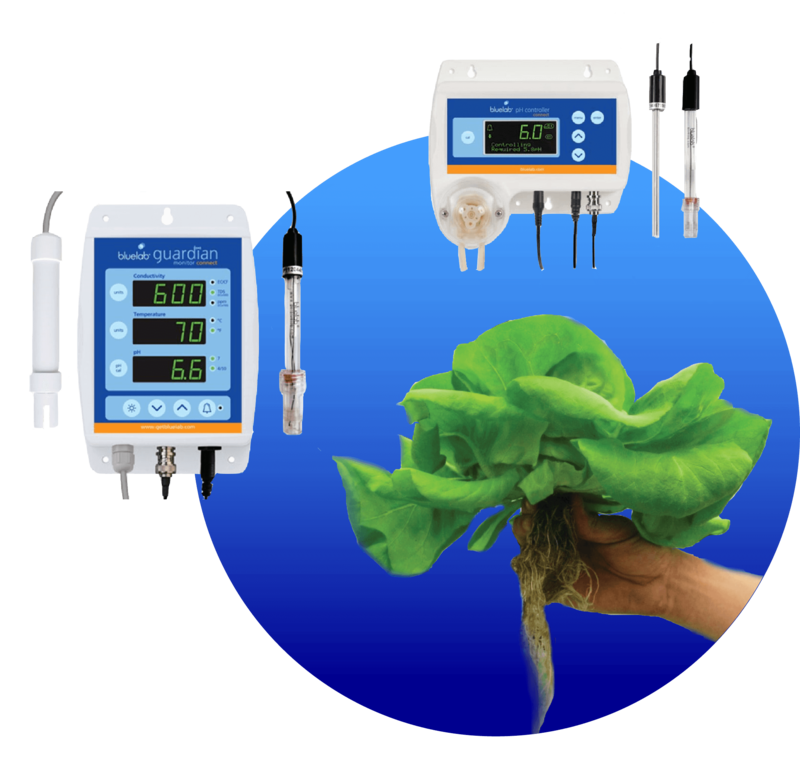 The important values to note are the Photosynthetic active radiation that plants can take in which is measured in Micromoles per cm. Hydroponics Technology in India can greatly benefit from the introduction of artificial lighting to enable year-round growing in indoor farms. 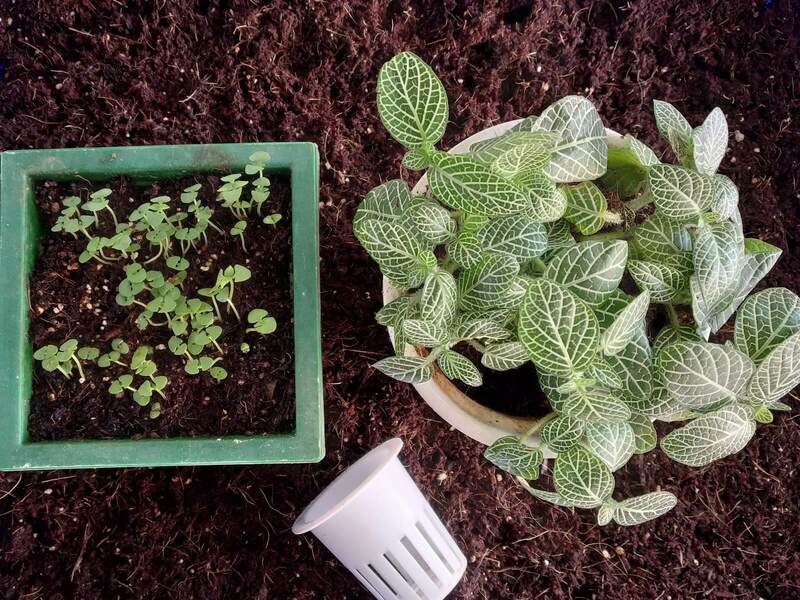 For example, someone doing Hydroponics farming in Hyderabad or places with extreme climates would be best placed to use indoor growing with lights to reduce the dependence on seasons for rain and a good crop. They could use these advanced lighting systems coupled with climate control and hydroponics can help hyper localize produce sourcing and bring clean, traceable food sources right to the doorstep of consumers. Production with lights would ensue much lower turnaround times, 24X7 growing ability, ability to grow without any constraints of climate and cyclic seasons. It would also be able to provide the ultimate in protected environment to grow plants without the use of any kind of pesticide or insecticide. 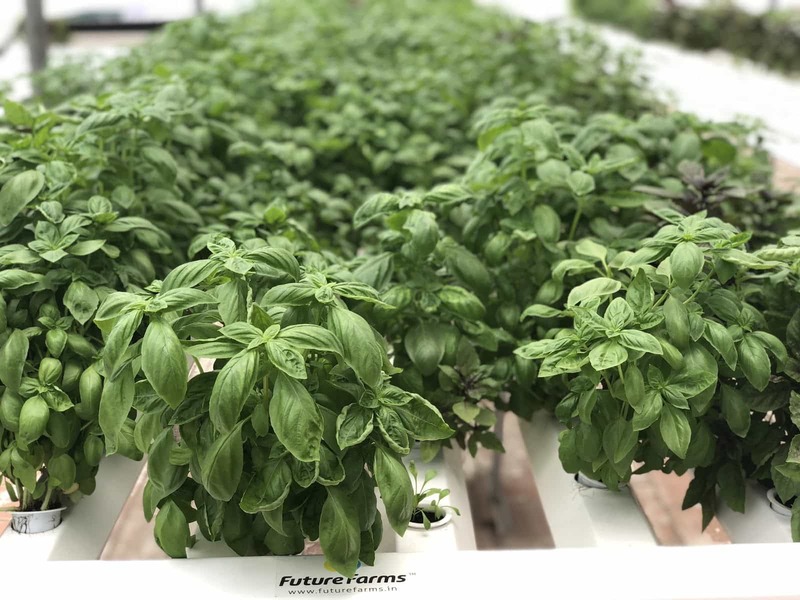 Indoor lighting systems are the future of food production with more research going into bringing out better and more efficient lighting systems that are cost effective and have the right kind of PAR and ppfd values. 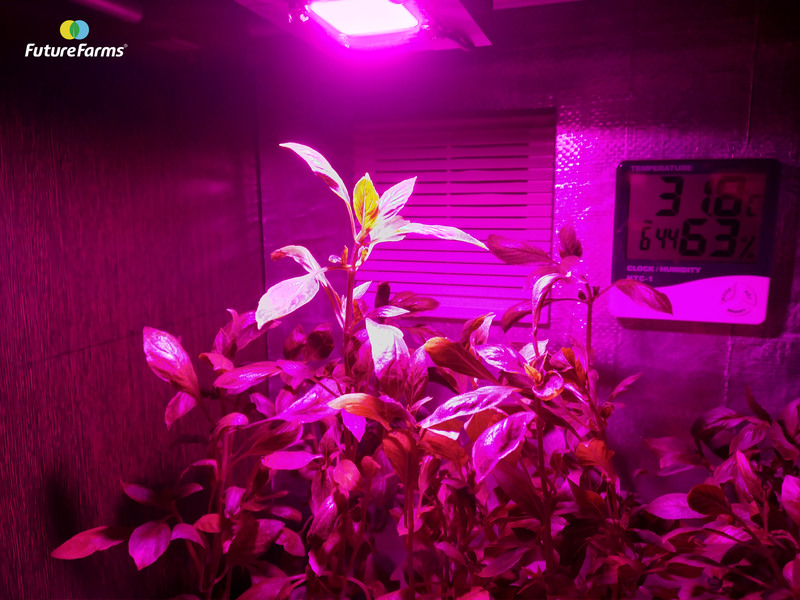 The current problem with the industry inhibiting the uptake of LED or other light-based growing systems is the high price off-of the hardware and electricity. There is also no standardization in the ratings given to the light systems and their specs, for example, some manufacturers claim’s of a 2000W output could mean an actual output of 465W but another player could claim and actually deliver an output of 600W. It is important for more research to go into the efficacy of lighting systems and more manufacturers would need to come together to standardize and bring normalcy to the LED industry. Growing plants in water is a relatively new trend. Though the technique is as old as agriculture itself, this new trend has recently emerged and enamored people both young and old. Hydroponics technology in India is a very new affair and still enjoys a warm glow of novelty. Commercial farming is just catching up in India and is emerging as a viable entrepreneurial option among many of the youth that has come to realize that the rat race is not for them. Agriculture is some sense has now become a reprieve from the modern world, but given how society and our media skews our view towards getting our hands dirty the old soil and cattle method of agriculture doesn’t help uplift the image or provide for a better social standing. Hydroponics, on the other hand, seems to be a unique intersection of the old and the new. It still deals with growing plants but using technology and data to do so. 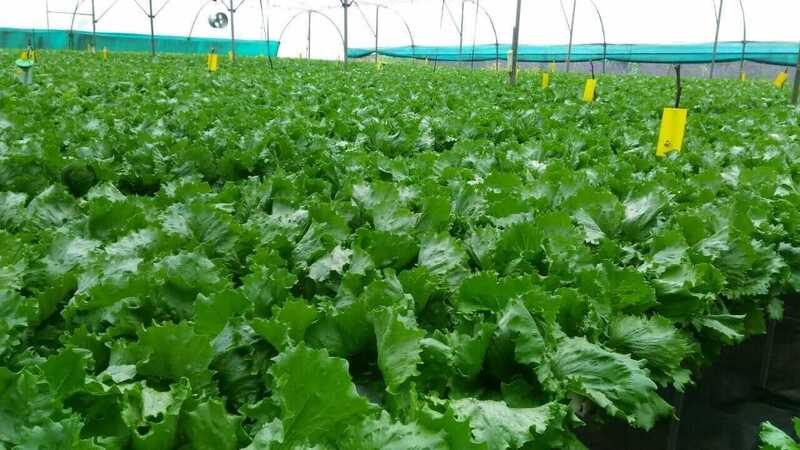 This type of farming often referred to as smart farming has really opened up the floodgates for agri entrepreneurs and their myriad of ideas. From the DIY garage junkie to the multinational corporates everyone has their own ideas of hydroponic systems design. This is true because hydroponics technology is, in essence, is nothing but using water to deliver all the nutrients that the plants require directly to the root system, instead of waiting for the plant to absorb the same via the soil. Once the basics are clear, one can use everyday household materials to design hydroponics systems. The most basic technique known as DWC also known as deep water culture requires one to just have a reservoir and a styrofoam float to hold the plant above the surface of the water. Given India’s propensity to jugaad their way through any situation many fly by night operators have started developing their own hydroponics systems designs both for hobby purposes as well as for commercial farming needs. There are many legitimate issues that can arise from cutting corners when it comes to food production, for example, many hydroponics equipment suppliers use PVC pipes to build the channels, little that they know that the grade of PVC that is used in India releases harmful fumes when used in conjunction with the nutrients. These materials are not food grade materials and thereby presents a legitimate threat to the end consumers. Hydroponics systems design for commercial farming might seem simple as it appears to be plastic gullies and pumps. But it is very complex and requires in-depth knowledge in order to ensure safety protocols. Hydroponic technology in India is under threat because of these errant players who try to use their jugaad principles to cut costs and undercut others this combined with the love of low cost that the typical Indian businessman cherishes leads to a compromised situation that sets up the individual farmer/business owner for failure. The inability of the failed business owner to connect their cost-cutting activities to their failure eventually leads to an erosion of confidence in the technology as they come to a common conclusion that hydroponics does not work In India.